Skin feels smooth, protected, moisture-perfected. Multi-Active Jour Créme Confort Lissante Rides Précoces is an early wrinkle correction cream for dry skin. Contains powerful plant extracts with anti-aging benefits to prevent and correct early wrinkles. This age-defying formula helps counteract the effects of fatigue, pollution and UV stress, so your skin stays smooth, protected, moisture-perfected. Apply A.M with smoothing movements to dry clean face and neck. 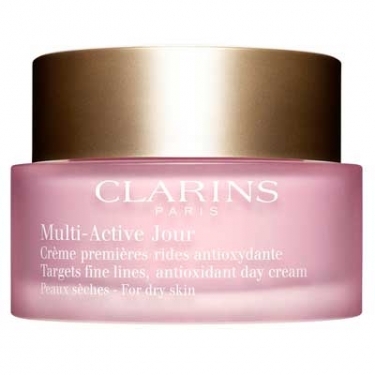 Use every morning following Multi-Active Sérum Peau Neuve.